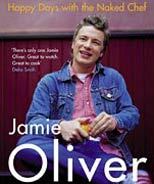 I just came across this food blog (named to one of the Top 100, so am I late to the party, or what?) 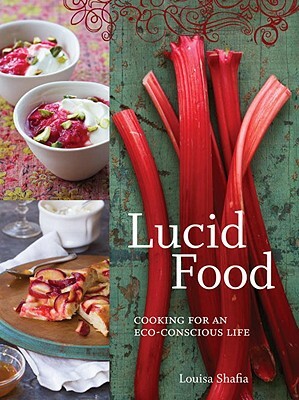 called Lucid Food, by Louisa Shafia. She portrays food exactly as I like it: gorgeously healthy, seasonal, and a delight for all the senses. I dove in DEEP, finding fabulous nuggets like her Red Lentil Dal Soup Mix, which make a beautiful and inexpensive homemade gift, and a Cleansing Pureed Veggie Soup that is great for an occasional day off of heavy foods – a gentle fruit and veggie cleanse. Shafia’s first cookbook, Lucid Food: Cooking for an Eco-Conscious Life, was published in 2009, and she’s in the process of releasing a new cookbook, The New Persian Kitchen, which looks to be AMAZING. If you’re more into video instruction than the printed word, check out her cooking videos: pure inspiration for how easy it can be to make simple, healthy food! Ahhhhh … the French way to teach children to love food (real food)! And the results? The lowest childhood obesity rate in the industrialized world. 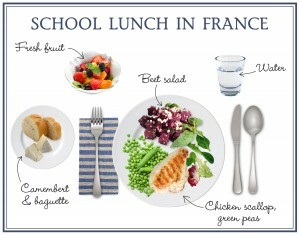 Check this out: French School Lunch Menus | Karen Le Billon. Pomegranate – Background and Handling Tips! First, check out the great information on the history and lore of pomegranates at Pomegranate – HandPicked Nation. Then, newly inspired to get the fabulous health benefits of this fruit, try one (or both) of the following easy ways to enjoy them! 1. Open the pomegranate and eat the arils – the mess-free way! bowl of water deeper than the pomegranate, and pull the fruit apart with your hands. You’ll be able to easily roll the arils away from the white pith, leaving the arils on the bottom of the bowl, with the white bits floating. Pour out the water and floating bits, and eat! Again, cut shallowly around the pomegranate, dividing it into about 4 sections (depending on size). Pull the fruit apart with your hands (underwater if you want to stay clean). Using a hand-held juicer – one made for oranges or grapefruit – insert the sections of pomegranate and squeeze. You may have to reposition each section and squeeze twice … and this could be messy, so wear an apron or cover yourself with a towel. Warning: this fresh juice tastes nothing like what you can buy at the store … you might get addicted! Want to use even more of the fruit? Apparently, ancient Romans used pomegranate rinds as a form of leather … hmmmm …. I’m not a vegetarian, but find I generally feel better when I focus on non-meat food sources. Today, I was out looking for ways to use up some cashew cream that I’d made, and stumbled onto the My New Roots blog’s Raw Cashew Dreamcake recipe. 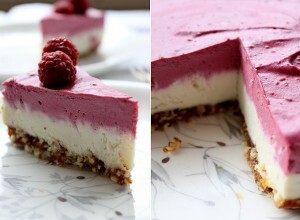 Working with what I had on-hand, I had to substitute cranberries for the raspberries, but this was AMAZING. Give it a try and let me know your thoughts! 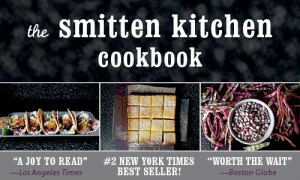 If you love REAL food, don’t miss the new smitten kitchen cookbook, or the smitten kitchen blog (click on the pic to the left). Delightful!